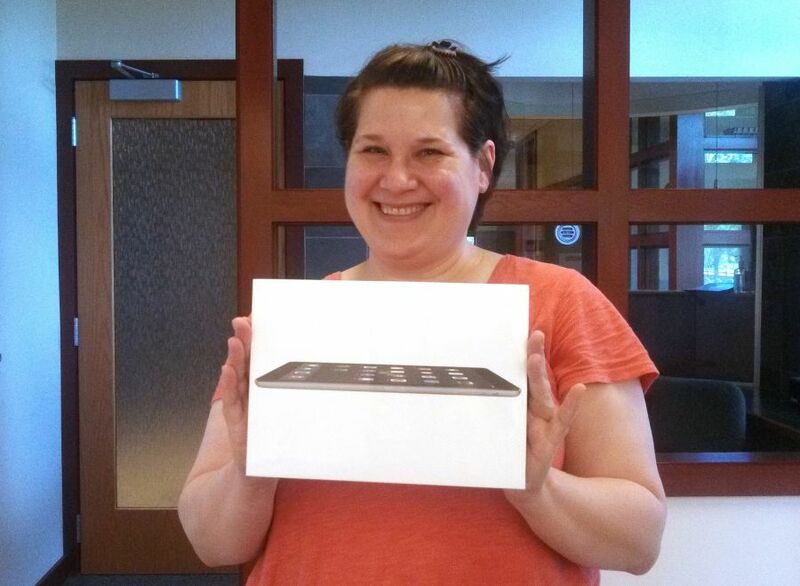 Madison Water Utility’s first conservation contest winner can picture it now – a sunny afternoon spent lounging in her rain garden, checking her daily water usage on her new iPad. Any Madison Water Utility customer who sets up a water usage threshold alert before Sept. 30 is automatically entered into a drawing to win an iPad. The utility will be drawing two more customer names, one at the end of August and one at the end of September. Michelle says she’s always been careful when it comes to conserving water, but the online tool brings conservation to a whole new level for her. But for Michelle, tracking water use is about more than a contest. It’s about taking responsibility for what we use and what we need. And who knows when taking the first step toward conservation might land you an iPad. For more information on how to enter, visit MadisonWater.org.